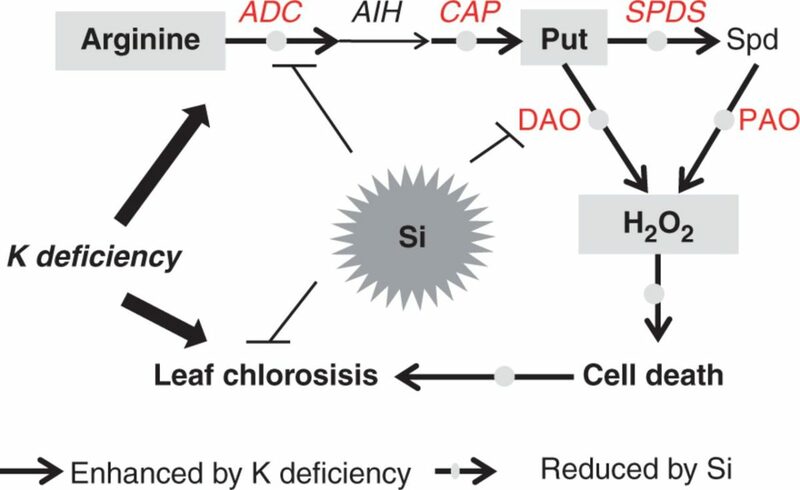 Silicon (Si) has been widely reported to alleviate the plant nutrient deficiency, but the alleviating effect of Si on potassium (K) deficiency and its underlying mechanism are poorly understood. Chen et al. 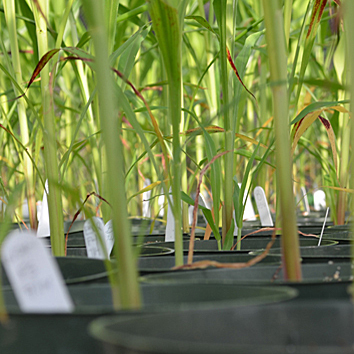 investigate the influence of Si on putrescine (Put) metabolism under K deficiency in Sorghum bicolor, and find that Si application could reduce K-deficiency-induced Put accumulation by inhibiting Put synthesis and could decrease H2O2 production via Put oxidation. A model depicting how Si is involved in alleviating K deficiency by reducing the excessive accumulation of putrescine. Under K-deficient conditions, Si reduces the increase in arginine content and depresses activation of the ADC pathway by down-regulating the expression of arginine decarboxylase (ADC) and N-carbamoylputrescine amidohydrolase (CAP) (indicated by red and bold font), reducing the excessive accumulation of Put; Si also depresses the activation of diamine oxidase (DAO) and polyamine oxidase (PAO) activities. 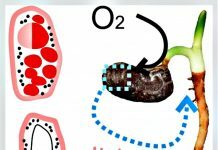 The reduced Put and depressed amine oxidase activities contribute to decreased H2O2 production, which contributes to the alleviation of cell death, leading to the alleviation of K-deficiency-induced leaf chlorosis and necrosis. Decreased H2O2 accumulation contributes to the alleviation of cell death, thereby alleviating K-deficiency-induced leaf chlorosis and necrosis. The results indicate that Si application could alleviate the K deficiency-induced leaf chlorosis by decreasing H2O2 via inhibiting Put synthesis and oxidation. 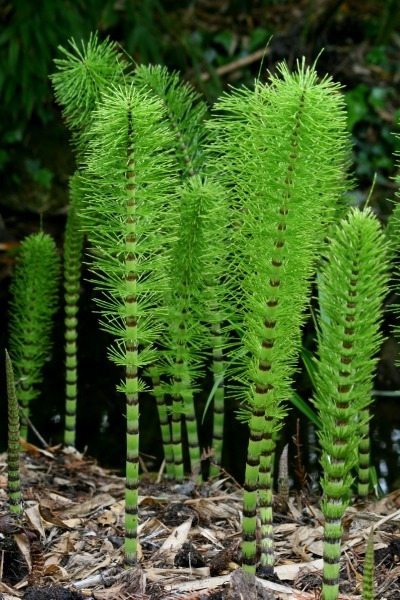 Grass – potential killer or just misunderstood?